Same-day delivery is no longer reserved for the major retailers. Now that DHL, UPS, and FedEx are offering day-of delivery, it’s a great time to take a deeper look at how your business might be able to offer this service to your customers. 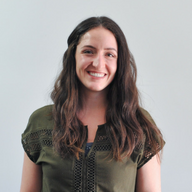 Especially since a quarter of online shoppers would abandon a cart if same-day shipping was not available, it’s important for retailers of all sizes to consider adding these faster delivery options to their shipping mix. 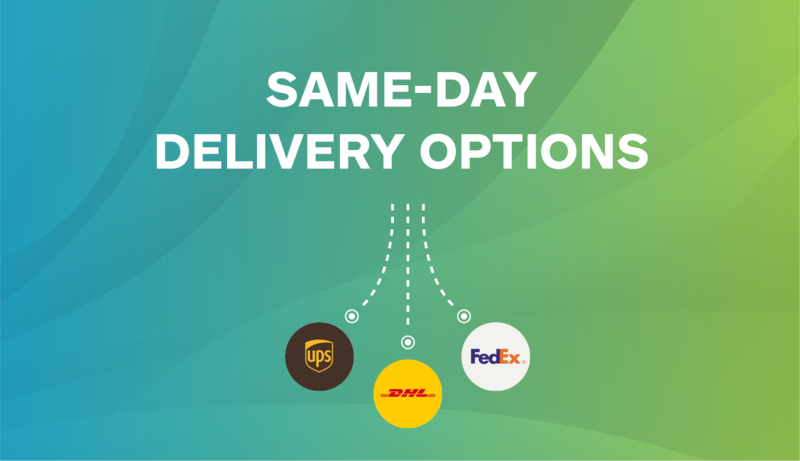 Let’s take a deeper look at the DHL, UPS, and FedEx same-day delivery options available for e-commerce businesses. 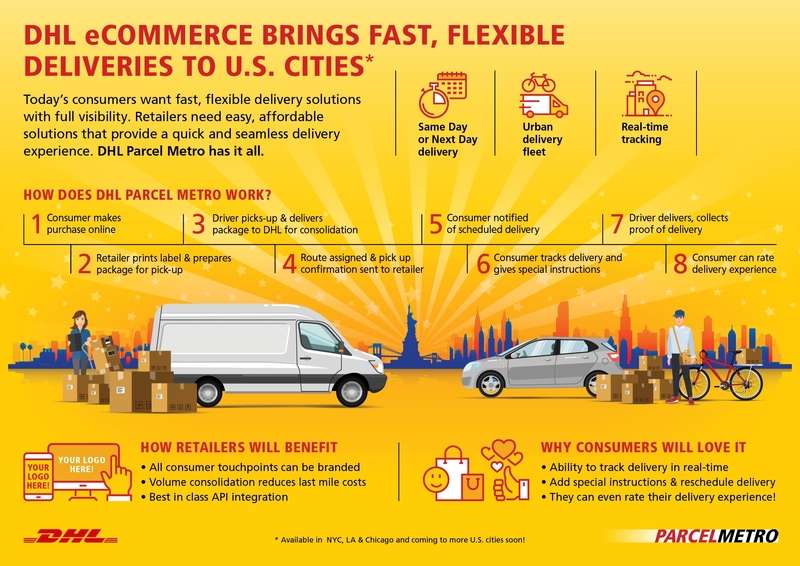 Last month, DHL eCommerce announced its new shipping service for domestic B2C same-day and next-day shipments: DHL Parcel Metro. DHL Parcel Metro creates a “virtual delivery network” of local and regional delivery vendors and crowdsourced drivers and vehicles to ensure maximum flexibility and capacity over the last-mile. It’s currently available in select cities and regions: Chicago, New York, and Los Angeles. It will expand to Dallas and Atlanta in the second quarter of 2018 and then to San Francisco and Washington, D.C. later in the year. DHL Parcel Metro currently has two service offerings: Metro Same Day with critical entry as late as 2 p.m., and Metro Next Day which has a cut off as late as 11:59 p.m. available. Metro Now will be launched later in 2018, and will offer delivery within two hours of order receipt. The service supports packages weighing up to 25 pounds with maximum dimensions 36 inches in length and 24 inches in width. UPS Express Critical provides urgent and same-day delivery options for many types of packages and locations. In fact, UPS offers access to virtually any kind of aircraft or vehicle needed for urgent and same-day delivery, including delivery via air, surface, charter, hand carry, etc. It also has value-added services, like special equipment or shipping handling to customize to your specific needs. You can lean on the team at UPS to assess a critical situation, identify transportation alternatives, and deliver your package in a way that meets your time and cost requirements. If you need special handling, like maneuvering through multiple entrances, stairs, etc. or unpacking and setup, UPS has a special inside delivery team that can support. FedEx SameDay supports cross-country delivery, scheduling your package to arrive at your customer’s door within hours. The service is offered all seven days of the week, and available for delivery in all 50 states. FedEx accepts packages up to 150 pounds for each shipment; prior approval is required if any package in the shipment exceeds 70 pounds or if any one side of a package exceeds 48 inches. For more information on how to start shipping via FedEx SameDay services, read the FedEx SameDay Services User Guide. With the above shipping services, it’s never been easier to diversify your delivery arsenal—adding more options, like same-day shipping, to your mix. Offering same-day delivery ensures that you won’t risk losing out on customers because you can’t accommodate their urgent needs. If you’d like information about DHL Express, UPS, and FedEx, take a look at our recent comparison of select international rates. You might also be interested in our domestic rates comparison of FedEx vs. UPS vs. USPS.